Six Steps Before the Hurricane Insurance Adjuster Arrives | The Voss Law Firm, P.C. 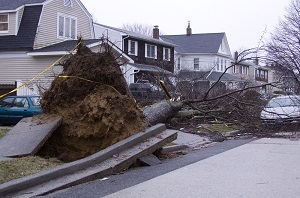 Are You Prepared to Meet With the Insurance Adjuster About Your Hurricane Damage? Review your insurance policies. As you get ready to file a claim and talk to the insurance adjuster, take a little time to read over your current policy and familiarize yourself with your hurricane coverage and responsibilities. Pay special attention to how your policy covers water and flood damage, as storm surge and damage from high waters aren’t generally included in hurricane insurance policies. These kinds of flood damage are typically covered by a separate flood insurance policy. Inspect your property for structural damage. Carefully look for damage to any buildings on your property, including garages, sheds, and other structures. As you work through your property, keep a list of all the areas that you’d like the insurance adjuster to see. This can speed up the process once the adjuster is on site, and it helps you remember everything that needs to be addressed. Create an inventory of damaged items. If your insurance company provides a Proof of Loss form, it can be a great starting point for recording what you’ve lost in the hurricane. However, you should still try to document everything thoroughly, including as many details as possible. For example, you should try to record the brand, model, cost to replace, and when you bought it. If you have damaged items that need to be thrown away, make sure you hold on to them until you’re sure the insurance adjuster won’t need to see them. Take photographs and video. If possible, take pictures and shoot some video of the damage to structures and personal items. If temporary repairs are necessary, make sure that you get some shots of what the damage looked like both before and after the work. Work with licensed contractors. You can start getting bids and estimates from businesses licensed to do the repair and replacement work you need. Get it in writing, and ask for as many details as possible, such as the type of materials that would be used and the expected cost of each component. Review your rights. In widespread disasters, policyholders often misunderstand their rights or feel manipulated by huge, national insurance companies. Before you move forward, you need to be able to recognize if you are being treated fairly and getting what you deserve from your hurricane insurance claim. To learn more about how the insurance industry works and how consumers can protect themselves, request a free copy of our report, Tricks of the Trade. As you work through your claim, remember to also keep copies of any documents, receipts, videos, or photos that you give to the insurance company, as well as any communication you receive from your insurer. Having this information all in one place can be a big help, especially if you need to jog your memory or prove damages months down the road. Has your insurance claim for hurricane damage been unfairly denied, delayed, or underpaid? Are you having trouble fighting for a resolution that will let you confidently recover and move on? Contact the Voss Law Firm today at 1-888-614-7730 to get help understanding and asserting your rights. Do You Know If Your Insurance Policy Covers Hurricane Damage?